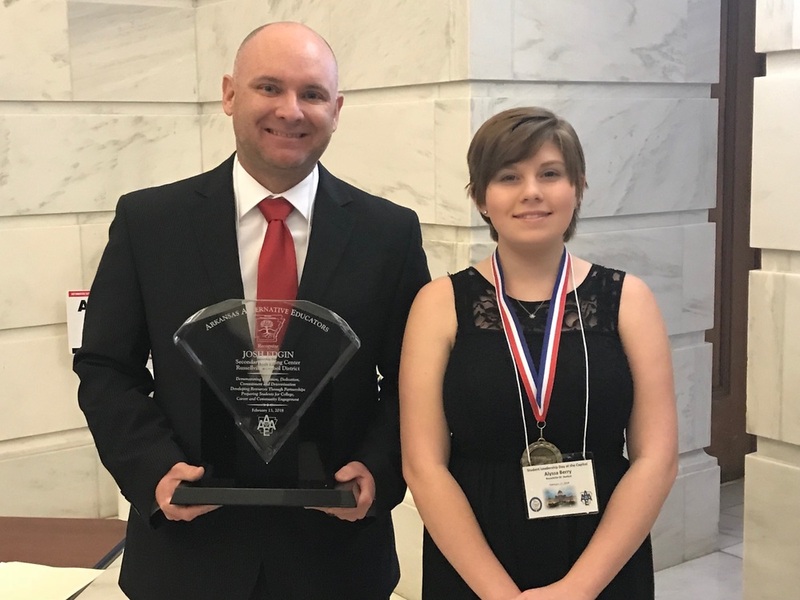 Secondary Learning Center student Alyssa Berry was recently awarded the Arkansas Association of Alternative Educators Diamond Award at the Arkansas State Capitol. The award is presented to students in the state who have demonstrated not only high achievement in the classroom but also have shown perseverance and growth outside the classroom. Berry was one out of 10 students in grades K-12 that received the award. Josh Edgin, principal at SLC, was also recognized by AAAE for showing devotion, dedication, commitment to determination, developing resources through partnerships, and preparing students for college, career, and community engagements.